The Internet of Things (IoT) technology can be considered as an advanced technique that is changing the way we live in the 21st century. IoT is the next big technology revolution that is modifying the objects of everyday use into data collecting smart devices. The Internet of Things is the fast growing technology that is transforming the automobile, transportation, learning & education and even household products to become “smart” and able to transmit data to a variety of sources. Internet of things has become vast business and there are number largest IT companies such as Intel, Apple and Samsung investing heavily in the market. The basic concept of IoT is very simple where connectivity and intelligence are added to the dumb electronics devices and appliances so that they can connect to the web which helps to deliver added value to consumers. This technology is not complicated as it sounds but are the Internet connected devices that are able to gather data. 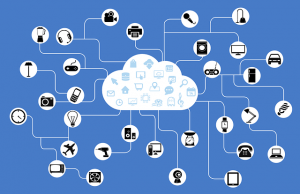 All the devices that are developed through IoT are able to communicate through wireless networks and internet connections. There are many devices that are connecting to the internet and provides with the best value to the consumers. There are many entrepreneurs and startups that are taking the IoT plunge and are fully backing their dream. In this post we have listed some of the best innovative and useful smart products that are available on the market in 2017. Amazon introduced Amazon Dash Buttons which are simple devices that allows you to order products with a simple press of a button. It can be considered as a Wi-Fi connected device that reorders your favorite product with the press of a button. This IoT product can be paired with a product of your choice during the setup process. Amazon currently offers Dash Buttons for many products such as paper towels, drinks, snacks and even diapers. You just have to click the button whenever you realize that you are running low. It creates an easier way to order products and with a simple touch of the button your product is on the way. The FitBark can be considered as the best IoT product that is attached to the dog’s collar. This device helps to gather physical activity data for your pet with the built-in memory. It also allows to measure the dog’s activity and quality of sleep and thus providing a very useful data. 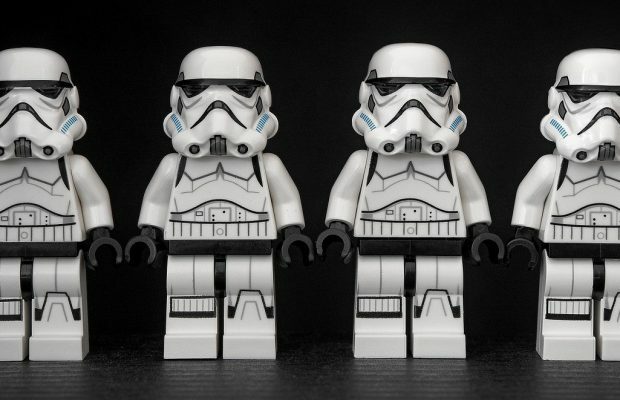 When the device is in the range of the paired device then all of the data is pushed to FitBark Web server. This data can be viewed with the help of the app in your phone. Thus the device can be synced with your Fitbit account to monitor and evaluate the information. The app also allows to create multiple profiles for all your pets and it can be seen in different graphical representations. Tado is one of the best named IoT gadget which lets you control your heating and hot water via a smartphone app. It is specifically designed to give your home a technology makeover. It is bundled with many key features and performs number of tasks such as controlling your home temperature automatically, also turning on the lights and disables the alarm or calls the elevator. It makes use of the location tracking to tell when you are not at home and when you are on your way back. It makes use of the location of the phone to adjust the air conditioner so that it saves you money. It also digitally tracks and responds to the weather forecast and the internal temperature of your home. The manufacturer of the device also claims that Tado will save you over 30% on your heating bills and the app will show you this in graphical format. 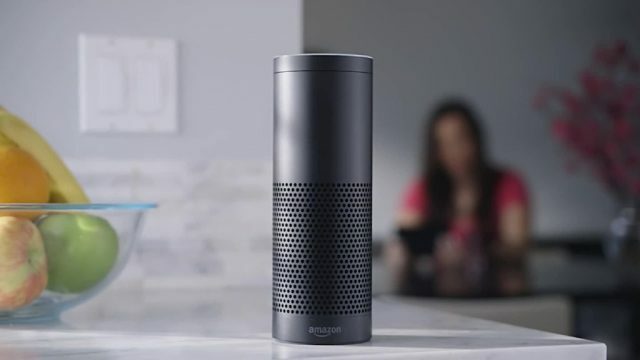 Amazon Echo can be considered as one of the greatest example of a product that provides real value to the end user. It is controlled by one of the three ways- buttons or voice on the remote, touch on the Amazon Echo app and by voice to the speaker. It is a minimalist and modern black cylinder which is about nine inches tall and three inches in diameter. It also has a bunch of noise-canceling listening microphones and ring of lights on its lid. It is extremely convenient and helpful for cooking, forecast and for many different use cases. It can be placed anywhere with WiFi access which can be set using a smartphone. Securifi is another IoT device which is uniquely styled router that is well suited for small homes. It can connect two wired network devices to the network via the wired ports. This single band router can also be used as an extender and it can handle light browsing and light file sharing tasks. 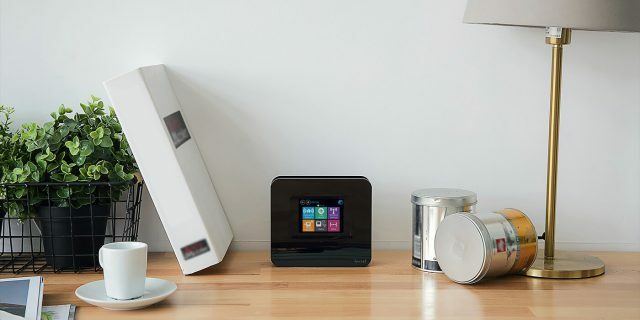 It is a standalone device and is four times faster than your average wireless router. It is easy to set up without a PC or a smartphone. Securifi has a LCD screen that resembles the Metro interface of Windows 8 along with buttons organized as tiles. It also allows you to set-up and maintain the router easily using a built in 2.8” touchscreen. It can also be used as an extender from another router around the home. Ninja Blocks is a completely customizable device that allows users to control electrical devices through their smart phone. One can get alerts for things like your wash and monitor your home and turn lights and appliances on and off using the Ninja Rules app.The starter kit includes a wireless motion sensor, temperature and humidity sensor and a wireless doorbell that allows to set rules for controlling different items and appliances. It can also send an SMS when someone is at your front door. A wireless Window & Door sensor allows to capture images of someone who is moving in front of your door and can be stored to your Dropbox account. The Nest thermostat is the best and popular IoT consumer good that connects to the internet and can be wirelessly controlled from a computer or smartphone. It also works with Alexa voice assistant which can be found in the Amazon Echo. It also detects usage patterns and can program itself and also has a smart smoke detector to the line which signals any smoke or carbon dioxide through the smart app. It can also tell you where in the house it has detected the fumes. It also has an ‘auto mode’ which allows the device to learn your schedule and automatically program itself. Bluesmart is a connected carry on that uses location tracking features and connect with your Bluesmart suitcase and get the most of its smart features. One can easily secure the bag with the Bluetooth lock to keep your personal items safe. The app also lets you know how far your bag has travelled, and a visual representation of its journeys around the globe. If the battery dies, you can still get in with a special key. One can also manage flight itineraries and check your flight’s status. A digitally controlled lock lets you access your suitcase using your smartphone. The Samsung Family Hub Fridge Freezer features three built-in cameras that takes a picture of your fridge every time when the door closes. The internal cameras that let you see inside the appliance even when you are away from home. This refrigerator has a smart touch screen affixed to the front of the door. It also allows to do online grocery shopping plus manage recipes and compile and share shopping lists. Every time the door is closed, the cameras will snap an image so you can view exactly what is in the fridge. It also has a clever drag-and-drop expiration trackers. Mimo baby monitor can alert parents to oxygen levels, heartbeat, and even room temperature to keep a track on their child. This IoT device communicates through a phone app and could potentially be life-saving. It uses low-power Bluetooth to transmit information to the base station then sends the data to your phone via Wi-Fi. It also alerts parents when the baby was awake or crying. It will send updates to an IOS or Android phone app about the data as well as the baby’s respiratory patterns. This wraps up our list useful IoT products that you should definitely try in 2017 and these items might just be the best gift for that person on our list. As the IoT technologies advance so will our smart devices will help us to communicate more efficiently with each other, save time and improve our quality of life! Next Story → Opera Free VPN Review: Is It Genuine and Reliable VPN with 100% Privacy?